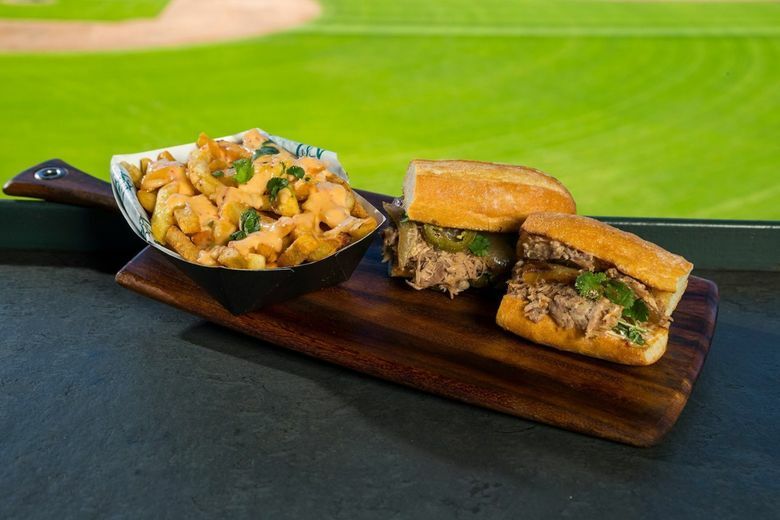 The Mariners have signed some heavy hitters to create souped-up burgers at T-Mobile Park this season. What would a dream burger from Brady Williams of Canlis, Ethan Stowell of Staple & Fancy, Maria Hines of Tilth or John Sundstrom of Lark taste like? How about a burger from Mitch Mayers, whose Ballard restaurant Sawyer is in the running for a James Beard award for “Best New Restaurant in America”? These luminary chefs will take turns offering their gourmet takes on the humble hamburger — though the rotation and exact dates for when each chef’s special will be featured have not yet been announced. The Mariners plan to talk with James Beard Award-winning chef Edouardo Jordan along with chefs Jerry Traunfeld of Poppy and Brendan McGill of the new Bar Hitchcock to brainstorm burgers as well. The Mariners began a test run last June to allow fans to sip margaritas and other cocktails at their seats, and that will continue this season.